On Saturday 8th March Malaysian Airlines flight MH370 departed from Kuala Lumpur International Airport at 00.41. Carrying 227 passengers and 12 crew members – including pilot Captain Zaharie Ahmed Shah and co-pilot Fariq Abdul Hamid – the flight was due to arrive in Beijing at 06.30. However, the plane lost contact with Malaysia Airlines less than an hour after take-off and, since then, has been the subject of a worldwide search. The plane’s baffling disappearance has been shrouded in mystery and, with little in the way of leads, evidence or findings, has also been the subject of numerous conspiracy theories. The search area has been dramatically expanded and now covers a total three million square miles and involved dozens of ships and planes from governments across the globe. The investigation into the missing plane has recently focused on the actions of Captain Zaharie Ahmed Shah and the Malaysian authorities have looked into the possibility of him deliberately steering the plane from its flight path. The latest progressions in the case have involved satellites picking up images of possible pieces of aircraft debris. Firstly, the Australian search team revealed on 20th March – nearly two weeks since the plane disappeared – that they have spotted two objects on satellite images in the southern Indian Ocean. Since then, Chinese authorities have also reported a sighting of debris, prompting an extensive search of the area. The mystery of the missing Malaysian Airlines Flight has kept the world, and all its various media outlets, hooked. 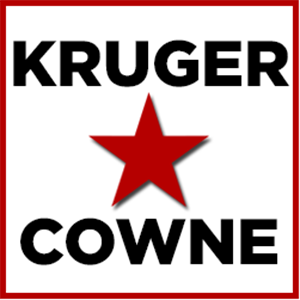 And, following the bizarre disappearance of flight MH370, the team here at Kruger Cowne have experienced a significant rise in the number of enquiries for talent able to speak on aviation, passenger profiling and security. Airline travel affects the lives of almost everyone on the planet today, so it is of little surprise that the mystery of the Malaysian Airlines flight has earned everyone’s undivided attention. Additionally, over the years, the vehicle of air travel has been used by terrorist organisations to gain publicity and bring about panic and disruption, becoming one of the most important items in the terrorist’s tool box. As the story of the missing plane has unfolded, it has kept the world gripped and prompted an increased fascination with airport and aeroplane security. It seems that, as people are desperate for information on the plane itself and the security of airlines in general, there couldn’t be a more relevant time to remind you of our world renowned aviation security and passenger profiling expert, Philip Baum. Philip is exclusively available through Kruger Cowne for advertising and PR related assignments, public speaking, after-dinner speeches and keynote conference events. Philip Baum develops and implements the preventative measures being taken to stay one-step ahead of aviation attacks and works to reduce terrorist activity and disruptive passenger behaviour. As a world expert in aviation security, Philip frequently appears on BBC, CNN, Sky News, ITN and international television programmes in the aftermath of attacks against aviation. He is a highly successful businessman and leader in his field and is a professional, eloquent and accomplished public speaker. His vast knowledge of the history of attacks against aviation, both in the form of the more infamous terrorist actions, and the day to day incidences of disruptive passenger behaviour, makes for a fascinating keynote speech, as well as an intriguing after dinner presentation. Philip’s stories are riveting to any audience and he is certainly one of the most interesting and relevant speakers around today. If the bizarre disappearance of the Malaysian Airlines flight MH370 has sparked your interest in aviation security, and you’re looking for a specialist such as Philip Baum to speak at your event, contact the team at Kruger Cowne today.